Today's midterm elections will mark two years since Donald Trump's shock election victory – the first test of how his Republican party is faring in the eyes of the American public. The midterms is the name given to the combination of elections for the US Congress, governorships and other state-wide races that take place every two years. Republicans currently control the House of Representatives and the Senate – the two chambers which make up the US Congress. But pundits have suggested the elections may see a so-called “blue wave” of Democrats sweeping into power. A liberal base hoping to derail Mr Trump's agenda has energised activists in key races, out-fundraising and out-polling a host of Republican incumbents. The elections mark the mid point in a president's four-year term – and this year they will be held on Tuesday November 6. Although Mr Trump is not on the ballot, in many ways the results will be seen as a referendum on his accomplishments and how voters feel about the US president. How do the midterms work? All 435 seats in the House of Representatives will be voted on in November. Representatives serve two-year terms so the entire house will face re-election in 2020. Some 35 out of the Senate’s 100 seats will be on the ballot and 36 state governors are up for election. Senators hold six-year terms. There are also a number of state-wide and local offices being elected on the same day. Governors hold powerful positions since they control huge budgets and implement their state's laws. Republicans currently control 33 out of 50 governorships and two-thirds of 99 state legislature chambers. Some 36 governorships are being elected this November and Democrats are targeting the 23 which have Republican incumbents up for re-election. Key races to watch are in Ohio, Michigan, Florida and Pennsylvania - key swing states in the presidential elections. Governors in those states will be crucial to mobilising party activists and raising donations for the 2020 race. How will they affect Donald Trump's presidency? The elections will shape US politics for at least the next two years. A Republican-controlled Congress will make the final two years of Mr Trump’s first term much smoother – giving him the power to continue funding his border wall with Mexico, pass further tax cuts and make another attempt to repeal Obamacare. If Democrats regain control, they will fiercely oppose a number of Mr Trump's key policies. If they win enough seats, the Democrats could kill the Republican legislative agenda on Capitol Hill. A Democratic majority would also see the party gain seats on Congressional committees with the power to investigate the Trump administration. This year's state-wide races are incredibly important too, since they will give the party in office power over the next redistricting process - the system by which voting areas are decided. Republicans are most likely to lose control of the House of Representatives as all 435 seats are up for election. Dozens of Republican representatives are retiring and the Democrats only need around 24 more seats to take control of the lower chamber. Mr Trump's party is likely to retain its majority in the Senate as only 35 of the 100 seats are up for election, 26 of which are already held by Democrats. Democrats would have to win all its Senate races and pick up two Republican seats in order to swing the majority - a tall order. What are the key issues deciding the races? The economy, immigration and impeachment are the issues getting most play on the campaign trail. The US economy is booming, with low unemployment rates and rising wages. 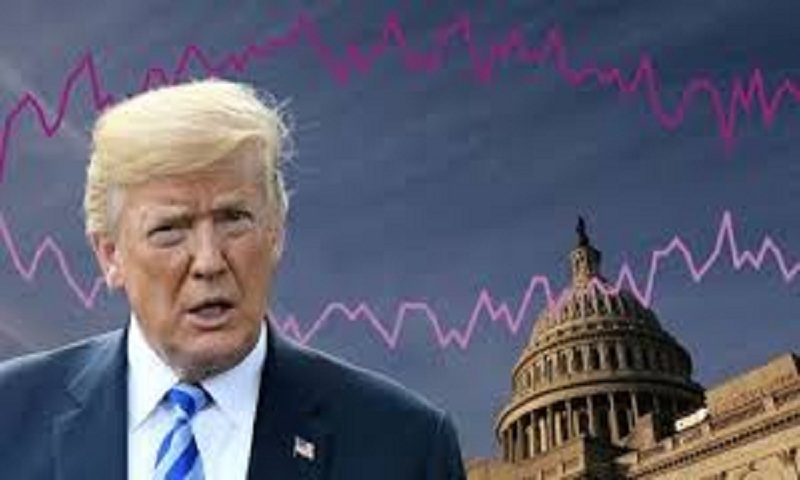 However Mr Trump's tax cuts for corporations have increased the country's deficit by 33 per cent in the last year to $895 billion. Immigration is a divisive issue, with Democrats keen to highlight Mr Trump's hard-line rhetoric and his administration's decision to separate migrant children from their parents as part of its "zero-tolerance" policy. They hope it will entice younger voters and minorities to vote against the president's party. Republicans have warned Democrats would like to see immigration and customs enforcement (ICE) officials scrapped, which they say will lead to weak borders as they appeal to voters. Ultimately, this election will be seen as a temperature test for Mr Trump ahead of the 2020 presidential election. This has already played out in this summer's primaries - where party members pick their candidates - with pro-Trump, anti-establishment figures winning against the Republican's old guard. On the Democrat side, populist progressives who are vocal in their opposition to the president - even calling for his impeachment - have been gaining ground on the party's centrists. Disgruntled voters often use midterm elections to punish the party in power. The president's party has lost an average of 32 seats in the House and two in the Senate in almost every midterm since the American Civil War. Democratic President Bill Clinton faced a six-year battle to get his policies through Congress when the Republicans took control of both the House and Senate in 1994. The Democrats retook both chambers in 2006 – allowing President Barack Obama to push through his policy agenda for the first two years of his presidency. However, the Republicans won back the House in 2010 which placed a significant curb on his ability to pass key legislation for the rest of his time in office. In 2014, the Republicans also regained control of the Senate, boosting their House majority to its largest since 1929 along the way. Democrats are currently enjoying an eight-point lead in polls and with a record number of women, veterans and ethnic minorities running for office, the face of the US Congress could look very different in January. However, the Democrats' success is based on the party's ability to mobilise their base: the midterm electorate is traditionally whiter, older and more conservative.